What a good photo, clearly showing the upramps and the end of the carparking space and the start of the accommodation and community facilities. They're actually numbering the floors on this one! Yay! Can someone post the article from the Advertiser today? A city hotel operator claims it has suffered more than $100,000 in lost trade and could be forced to close because of disruption caused by the construction of one of Adelaide’s tallest buildings. 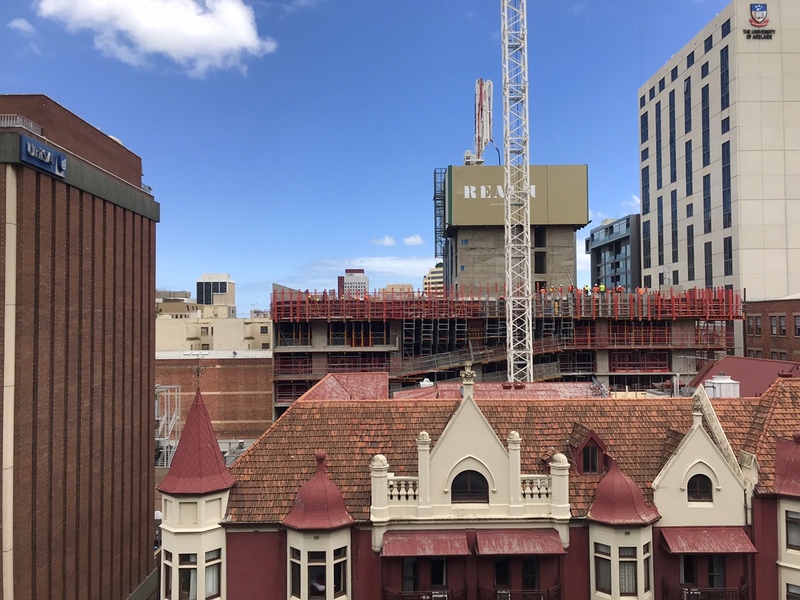 La Loft Adelaide, which operates the Mansions Apartments on Pulteney Street, says builders of the neighbouring Realm Apartment building “don’t give a stuff” about the impact construction of the 132m-tall tower is having on their Pulteney St property. It is now bracing for an overnight concrete pour between February 19 and 20, with builder Maxcon refusing to pay compensation for potential loss of trade. 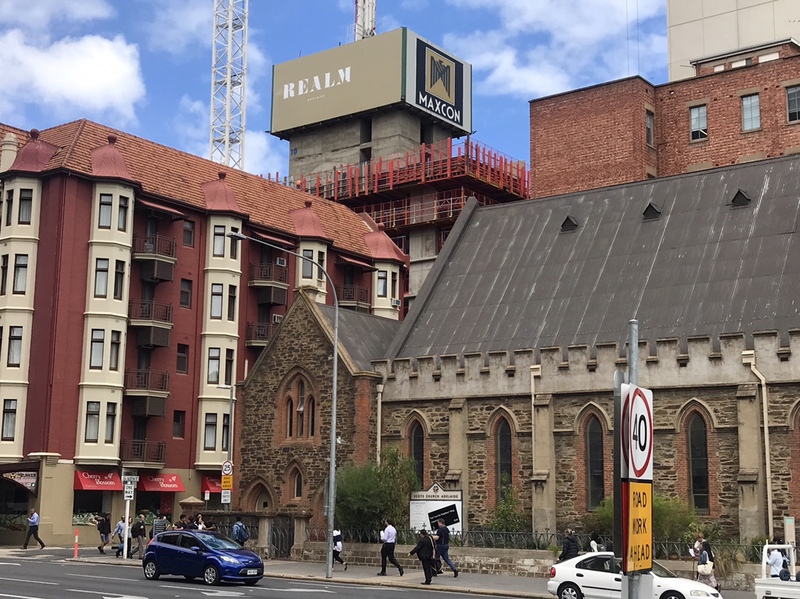 La Loft general manager Simon O’Callaghan said the business had suffered revenue losses “exceeding $110,000” last year due to construction of the $200 million 40-storey apartment Realm building behind the state heritage-listed Mansions building. “This is a mix of guests being compensated to stay, cancelled bookings as well as a general downturn due to guest feedback on social media,” he said of the business which manages 34 serviced apartments. “Since commencement of demolition in September 2017 we have sought to be good neighbours, motivated to provide accommodation to trades as the development progresses. “Sadly, the building process is having a greater and more critical impact on our business. La Loft director and former Orange Lane market operator John Roper took over management of the Mansions business in June 2014, employing 15 staff. He said Maxcon, which is constructing the tower on behalf of Sydney-based developer and property finance company the Myst Group, had initially said it would accommodate tradespeople in the Mansions but he said that never happened. “We love the building going up and understand there is going to be a construction process … but compensate us in some way,” he said. Mr O’Callaghan wrote to Maxcon on January 30 seeking $50,000 in compensation for estimated loss of revenue due to the business having to relocate guests and staff during February’s concrete pour. In a return email, seen by The Advertiser, Maxcon project manager Peyman Jadid said the company could “not entertain” compensation. “We are prepared to provide mansions guests noise cancelling headphone (sic) and eye mask (sic) for the night as a compromise,” he said. Mr O’Callaghan said for major projects such as Realm, developers should have to put funds in trust, which could be used to provide compensation for neighbouring businesses. He said an email to Myst director Paul Smith and associate Anthony Pattinson on November 18 last year outlining his concerns, had remained unanswered. Realm has been contacted for comment. The project is expected to be completed by later this year, early 2020. 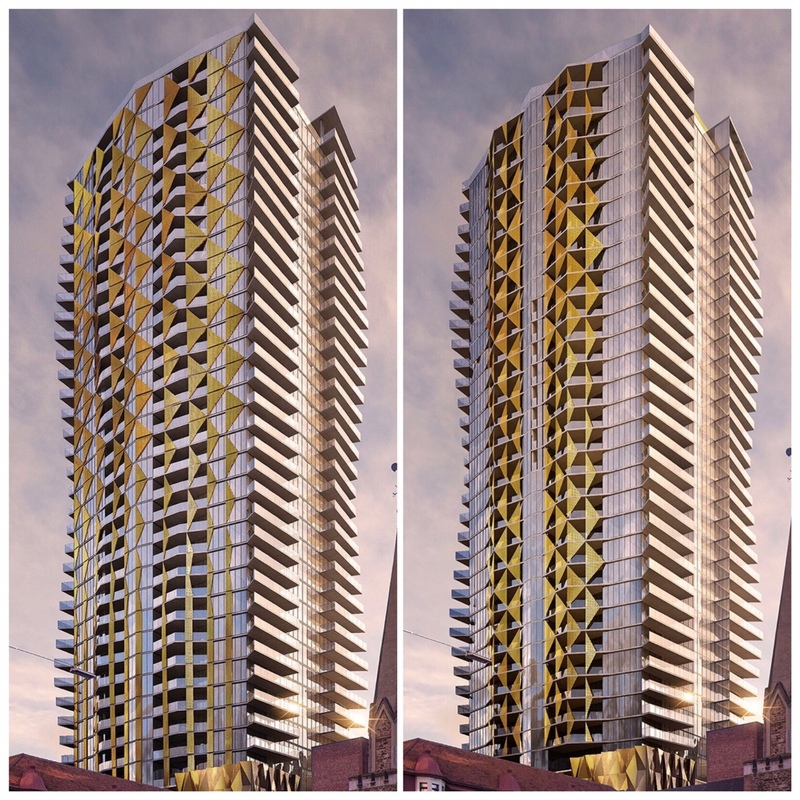 Pants wrote: The render in that article mentions a re-design. I haven’t seen this whole thread, but I don’t think I’ve seen this. The story of the redesign was mentioned in October last year and was to counter wind-loads according to the architect. Some comments from recent Tripadvisor reviews have been provided below. I'm sure there are other contributing factors to the property facing closure. Perhaps lack of maintenance? •	Very out dated, my apartment stank. Parking is very inconvenient. No air conditioning in the bedroom. Shower is just gross, umm get mold anyone? •	Inspection quickly revealed a water-damaged bathroom cupboard, wood rot, filthy surfaces throughout, marks on most walks, unrepaired minor damage throughout and a room that suggested no maintenance for many years. It seemed out of the 1960s. Towels, toilet paper, tissues and utensils are of the lowest grade. •	Credit to the staff that they can keep this rubble going... but to rate this as a 3 1/2 star establishment is a stretch...Someone has tried to modernize the place at some point, tile paint from Bunnings and an Artline pen and stencil is not exactly going to fool anyone that it is renovated. Does any hotel really think a shower curtain albeit one that dumps the water anywhere but back in the shower is appropriate.. It's amazing how decorative elements flush with flat windows can apparently increase the wind load. I had a feeling this would be the case. It's such a shame because it's such a lovely old building in the best of locations. Might need to send in Gordon Ramsay. I think crawf was just using one example and not just tripadvisor. As per the article in The advertiser, the GM partially blamed "cancelled bookings" so people are getting their information from somewhere and also a general downturn due to "social media". I have no issues with the suggestion of compensation for works carried out by others that impact a business, it needs to be quantifiable however and not just general statements and vague innuendo. so prior to 11Sep2017 and post in social media do the comments change much?, open their books and take it from there. Does it need to be full compensation? I don't know! the business' in the area may/may not benefit once the development is complete.